All over the world, weddings are a beautiful and special celebration of love and commitment. And while weddings are a universal celebration, different cultures have their own wedding rituals and traditions that make for a unique experience. 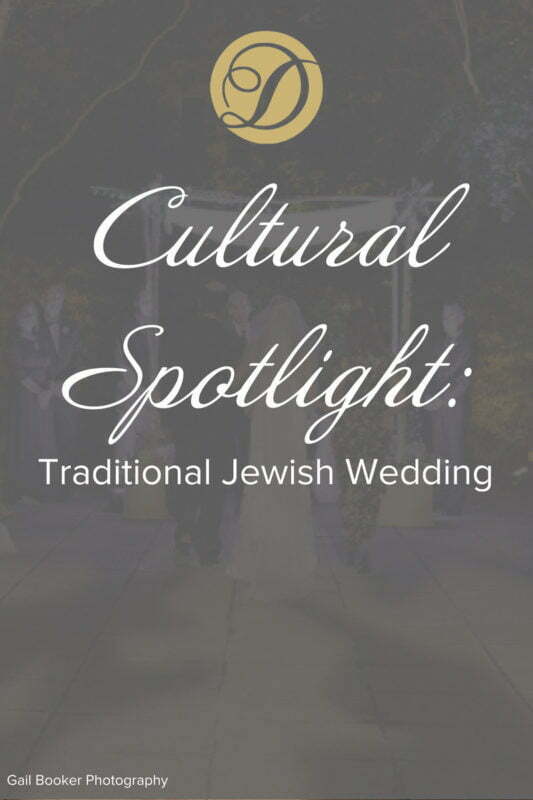 Today we are highlighting a culture with weddings that emanate tradition, togetherness, and of course, some fun: the Jewish wedding. The wedding day begins with the tish. 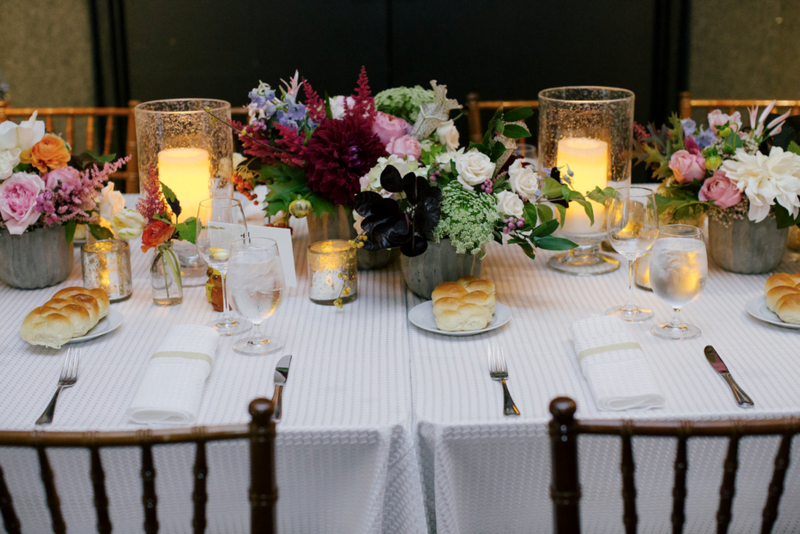 Tish is Yiddish for “table,” and refers to light-hearted discussions held before the ceremony. 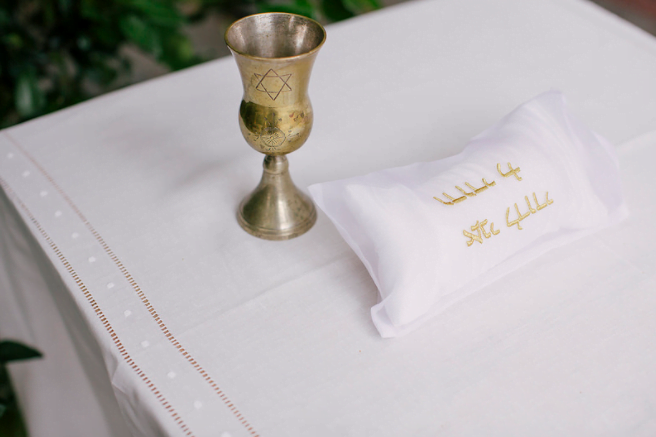 During this ritual, the groom attempts to present a lesson on a portion of the Torah, being interrupted and heckled by his groomsmen and male family members. The bride entertains her bridesmaids and female family during the tish. The signing of the ketubah, the marriage contract, also takes place on the day of the ceremony. In Orthodox communities, only the groom, the rabbi, and two male witnesses sign the contract. In other congregations, however, the bride signs the ketubah as well. The bride and groom first see each other on the big day during the b’deken, which is the veiling of the bride. In this tradition, the groom is led by both fathers and other men to the bride’s room where she is surrounded by both mothers and other women. The groom then places the veil over the bride’s face before the ceremony. Some couples also use this opportunity to have the bride place the groom’s yamulke on his head. 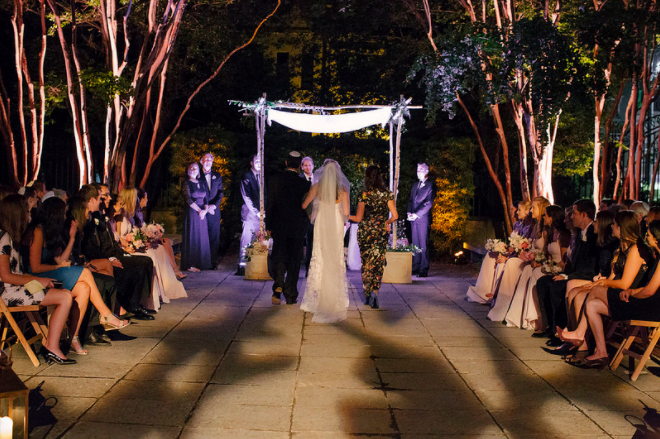 The Jewish wedding ceremony takes place under a wedding canopy called the chuppah, creating an intimate space for the ceremony to be performed. Many couples take liberties with the chuppah to make it personalized to their taste and liking, as there are no requirements for its size, color, etc. The circling takes place when the couple first enters the chuppah. The bride circles the groom seven times to represent the seven blessings and seven days of creation. Historically, the bride circles to the groom to show that he is the center of the world. Some couples have the groom circle the bride as well to make the archaic tradition a bit more contemporary. The kiddushin is the betrothal ceremony, including greetings, the blessing over the wine, with the bride and groom taking a sip. Although a wedding and ceremony represent two people coming together as one, those two people are rarely alone on their wedding day. The yihud, or seclusion, following the ceremony gives the bride and groom a chance to have a bit of alone time on their big day, away from their family and guests and the general chaos of the day. Typically the bride and groom spend about 15 minutes together secluded in a private room. 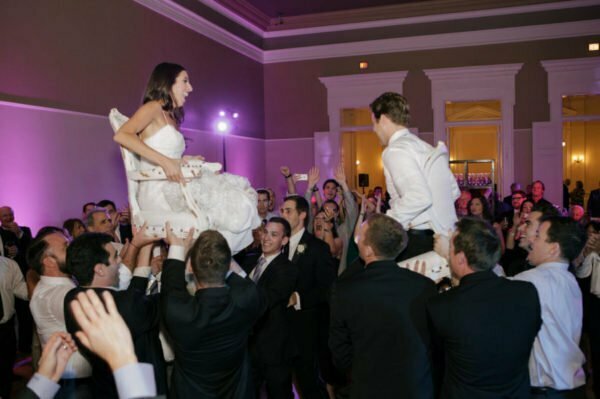 The Jewish wedding reception is also full of traditions and rituals. A blessing over the challah, Jewish braided bread, signifies the beginning of the wedding meal. The s’eudah mitzvah is the celebratory meal, which often includes chicken and fish dishes. The Jewish culture is filled with many beautiful traditions to make weddings a unique celebration of love and togetherness. Many couples take liberties with which traditions they follow, as there are so many involved. Traditions also vary across congregations and cultures within the Jewish faith. But at most Jewish weddings, you can be sure to gather around the chuppah, enjoy some challah, dance the Hora, and shout plenty of Mazel Tov’s!